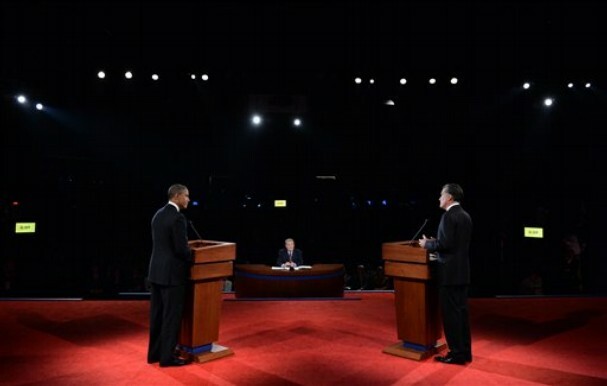 Once again, PlanetPOV is hosting a live chat tonight during the second debate between President Barack Obama and Governor Mitt Romney. Clinically proven to reduce shouting or throwing shoes at one’s tv, joining the live chat here during the debate not only reduces blood pressure resulting from Romney’s lies but enhances your viewing pleasure as President Obama scores points and takes charge. It’s President Obama’s night to be dubbed, “The Comeback Kid” but Mitt Romney no doubt has some sneaky tactics in store, it should be an eventful night, hope to see you here! The President nailed it, Romney was a blathering mess. Did anyone else just see the woman in a beige suit who asked the Bush question come over and kiss Ann Romney, she was a plant to let Romney try to differentiate between himself and Bush. Didn’t do a good job. The black guy was a plant too. I loved the way Obama patted him on the back when they were finished. “There there now Mitty, don’t cry”. Obama did well; like Biden, he did what he had to do. I mostly listened as I was out of sight of the TV and within earshot. So, I missed most of the visuals. I did notice what seemed to be active mutual dislike. The two are going at it hammer and tongs. I can hear and see the animosity. Those two dislike each other. I cannot know who is ‘winning’. I like Candy but she should let the people ask the questions and her job is to keep the candidates on task. good for you, KQ! I’m glad you are getting the care you DESERVE. Same for Mrs. Q. May all your problems be minor, and all the problems solvable. I’m in and out due to stress. Can’t take any more! I’ll be in and out during the debate tonight. Right now I desperately need a nap. Thanks to the Obama administration for forcing delinquent states like Georgia to finally hear SSDI claims I have Medicare now so I’m making up for five plus years without proper healthcare. So far I’ve gotten a real primary, an endocrinologist, an ophthalmologist, a chiropractor and a pain specialist to see besides my regular cardiologist visit the end of this week. I’ve also had four different blood work panels, a stress test and an ecocardiagram I’ve been putting off for a couple years now. Anyone who tells you coverage does not equal care is just full of shite. Don’t believe the hype that more and more doctors don’t take Medicare either the only instance a doctor would not see me with Medicare was a pain specialist who isn’t taking new Medicare patients until next year. Fortunately my wife finally was able to get insurance too and she is finally getting all the care she needs as well. The worst rationed healthcare in this country is self-rationing when you don’t have insurance and providers refuse to see you unless you are rich and can pay cash up front. KQ, we’ve been in a similar situation and most people just take HC for granted. We are a 2 person company and have 2 kids. We purchased our own health care without the benefits of lower group premiums. Beyond the staggering monthly cost, our deductible was $5000. Our kids had all the exams they needed for school and sports activities but we went without healthcare for ourselves. It was just too much to pay premiums, pay the deductible AND pay the doctors. We’ve been lucky that our health (we think, hope and pray)has not been affected. I’m so glad to hear that this is finally working for you and your wife. 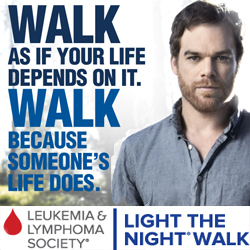 It affects everything you do everyday. That is great news KQ! Being ill without having proper healthcare can do nothing but make one’s illness worse. You guys must feel as if a great weight has been lifted from your shoulders. KQ, congratulations! You and your wife are living proof that Obama does care. No one could be happier that things are finally going better for you knowing what you have been going through the last few years, my heart sings K. As you know I share your wife’s condition and don’t know where I would be after 24 years without the medical care I will need for the rest of my life, so hearing that she will be taken care of as it progresses is a wonderful thing to know. I will be mostly out watching the debate on C-Span, but hope to pop in later. Have a good time everyone, I have my “Romney’s Lies” barf bag right next to me on the sofa. KQ, that is such affirming, real world proof of what the ACA accomplished. I’m so glad for you and your family and can only imagine how many other families out there are also getting the care they need now. And Mitt Romney would rip that out of the hands of all of them. How is this not an outrage to those low info, undecided voters? Are they really so uninformed they don’t know this.